Snow Parker’s father, a mariner and fish merchant, came to Liverpool in the early years of the settlement. Though most if not all of his five sons also earned their living from the sea, it was Snow who laid the basis for a spectacularly successful career in trading, shipbuilding, and privateering which was to make him a wealthy man. Parker came to manhood in the shadow of the American revolution, when rebel privateers cruised in Nova Scotian waters and sometimes raided coastal settlements. He was only 18 when the ship on which he was travelling from Halifax to Liverpool was intercepted by a privateer. Taken prisoner, he was carried to Port Mouton and then released after paying a ransom. This episode was recorded in the diary of a prominent Liverpool merchant and member of the House of Assembly, Simeon Perkins*, who from then until his diary stopped in April 1812 frequently recorded Parker’s activities. Parker began his business life as a coastal trader, often carrying freight for older, established merchants such as Perkins. In May 1783 Parker and his brother Benjamin purchased from the Liverpool merchant Benajah Collins his house, fish lots, stores, wharfs, and buildings for £550. The brothers then played a vigorous part in the salmon and mackerel fishery off Newfoundland, taking many hundreds of barrels and selling them not only to local merchants but also in American ports. Snow Parker made his start in the lucrative West Indies trade in September 1788 when he and co-owners Joseph Barss and Nathan Tupper launched the Union, a 100-ton brigantine of which he was also captain. Shipbuilding became an important part of his operations. By 1826, with the launching of the 450-ton Mary Parker, he was able to claim that he had built 46 vessels. These ships traded along Nova Scotia’s coast, to American ports on the Atlantic and on the Gulf of Mexico, in the West Indies, and even to Europe. Others fished off Newfoundland. It was those vessels which were built or sailed as privateers, however, that made Parker’s fortune. The outbreak of war with France in 1793 and with the United States in 1812 had raised once again both the spectre of privateering and the prospect of making a great deal of money from financing privateers. Liverpool was the centre of privateering activity in Nova Scotia between 1793 and 1815, and Snow Parker was its leading exponent. He built, owned, financed, and acted as agent for several privateers, but did not sail them himself. The cargo of captured vessels could be speedily condemned in the Vice-Admiralty Court at Halifax, acquired cheaply at auction, and then retailed at a handsome profit. Moreover, the prizes themselves could be purchased, refitted, and then sent out as privateers or trading vessels. Parker was an outstanding entrepreneur of the early 1800s, if only because of the number and variety of his activities. Unlike land-based merchants such as Perkins and Collins, whose merchandise he sometimes carried in his vessels, Parker was not simply a trader but also a master mariner. Like them, he was both a shipbuilder and – more important – a privateersman. In the heyday of privateering Parker was reputed to be the richest man in Liverpool. His fortune declined with the years, however, so that at the time of his death he was apparently worth no more than £1,500. 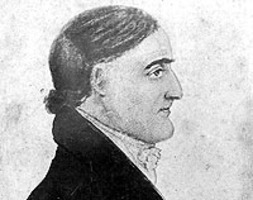 In June 1798 Parker had received his introduction to political life when he accompanied Perkins to an opening of the legislature and dined with Richard John Uniacke* who, as attorney general and advocate general of the Vice-Admiralty Court, was able to help those hoping to profit from privateering. 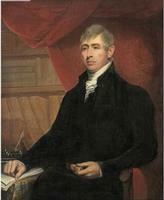 When Perkins’s successor as representative of Queens County, James Taylor, died in January 1801, Parker ran in the by-election held in March and won by acclamation. “Mr. Parker,” wrote Perkins in his diary, “gave the Freeholders Plenty of wine & Spirits, with a Cold Collation. . . . The Business was very decently performed.” Parker represented Queens County continuously for some 25 years, declining to stand only in 1826, when he was succeeded by John Barss*. In May 1797 Parker had become a captain in the Queens County militia. He was commissioned judge of the Inferior Court of Common Pleas of Queens County in May 1810, and in June 1811 a trustee of the grammar school about to be erected in Liverpool. Parker also held six commissions as justice of the peace, the first granted in June 1810, the last in December 1841, when he was over 80. PANS, Places, Liverpool, R. J. Long, “Annals of Liverpool and Queens County, 1760 to 1867” (mfm. ); RG1, 172: f.57; 173: ff.34, 40–41, 75; 175: f.204. Simeon Perkins, The diary of Simeon Perkins . . . , ed. H. A. Innis et al. (5v., Toronto, 1948–78). Novascotian, 16 Oct. 1843. Epitaphs from the old cemeteries of Liverpool, Nova Scotia, comp. Charles Warman (Boston, ), 56–60. Legislative Assembly of N.S. (Elliott). Liverpool privateering, 1756–1815, comp. J. E. Mullins, ed. F. S. Morton (Liverpool, N.S., 1936), 25 et seq. J. F. More, The history of Queens County, N.S. (Halifax, 1873; repr. Belleville, Ont., 1972), 203. J. B. Cahill, “PARKER, SNOW,” in Dictionary of Canadian Biography, vol. 7, University of Toronto/Université Laval, 2003–, accessed April 21, 2019, http://www.biographi.ca/en/bio/parker_snow_7E.html.